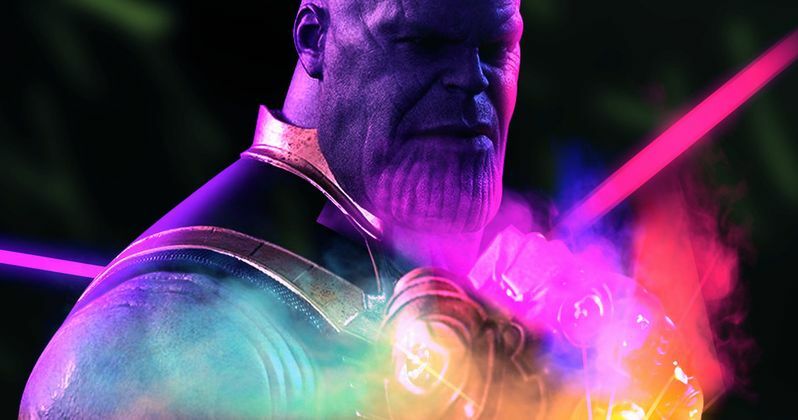 The title of Avengers 4 has long been a mystery, ever since it was revealed that Avengers 3 and Avengers 4 will no longer be known as Avengers: Infinity War Part 1 and Avengers: Infinity War Part 2. It has long been confirmed that the Avengers 4 title is a spoiler for Avengers: Infinity War, but even now that the movie is out, the Avengers 4 title has yet to be revealed, although an intriguing fan theory has surfaced. While there is no indication that this theory is true, Screen Rant posits that Avengers 4 will be known as Avengers: Endgame. Be warned, there will be SPOILERS for Avengers: Infinity War if this is at all true. It's worth noting that there is at least one potential title that has been shut down, when Zoe Saldana hinted that the movie would be called Infinity Gauntlet in an interview, but it was later revealed that isn't the true title. Marvel has also indicated that it may be quite some time before the official title is revealed, and there is no indication as to when they may do so. Marvel has recently confirmed they will not be attending Comic-Con this year, so that's ruled out as a possible time and date for the title reveal. While we wait for confirmation, this title theory is most definitely intriguing, since it's almost hinted at in Infinity War. There is a moment towards the end of Infinity War where Doctor Strange (Benedict Cumberbatch) uses the Time Stone to go forward in time, and see every possible outcome in the Avengers' fight with Thanos (Josh Brolin). While these outcomes aren't exactly revealed, he says that the Avengers lose in every single outcome, except for one. While he doesn't shed any light on what that outcome is, he doesn't look too please just mentioning that outcome, hinting that even though they win, it won't exactly be a happy ending for anyone. Doctor Strange was one of the several Avengers who were wiped from existence after Doctor Strange handed Thanos the Time Stone, telling Tony Stark (Robert Downey Jr.) that there was no other way, and when they're on Titan, Doctor Strange says, "We're in the endgame now." Avengers: Endgame would certainly be an apt title for this movie, since it closes out Phase 3 and, in essence, the entirety of the Marvel Cinematic Universe as a whole, up until that point. While the MCU will certainly continue, it seems clear it won't be the same after Infinity War and Avengers 4. The only confirmed movies for Phase 4 are Spider-Man: Homecoming 2, arriving July 5, 2019, just two months after Avengers 4, and Guardians of the Galaxy 3, which doesn't have a date in place yet. There has been talk of a Black Widow movie for Phase 4 but it isn't clear when exactly that will happen. Marvel held a press event in the fall of 2014 where they unveiled their entire Phase 3 lineup, and while it's possible that Marvel may hold a similar event to unveil the Phase 4 titles, it hasn't been confirmed yet. Until then, you can head over to Screen Rant for their Avengers 4 title theory.